You can get a great deal on Cabo San Lucas property with those fantastic ocean views included. Costs are more affordable for Americans and Canadians because of currency comparisons with the Mexican peso. In fact, the U.S. dollar is strong against the Mexican peso — one U.S. dollar is around 20 Mexican pesos. If you’re looking for the perfect place abroad, it is relatively simple and cheaper to purchase a Cabo San Lucas property. Mexico has a rich, lively culture with flavorful traditions, arts, music, and dance. Along with beautiful Mexican culture, you will feel the American influence in Mexico. For example, American music, programming and traditional holidays are becoming more and more popular with the Mexican millennials. Mexican foods are rich and savory. Take a walk downtown and experience gourmet dishes with neighborhood classics. With so many mouth-watering options, from fresh-grilled fish tacos to homemade tamales and al fresco dining, you will never get bored with the traditional and delicious cuisine. The U.S. dollar is strong against the Mexican peso which means you can make a great deal on a vacation or second home. The cost of living is low in comparison to living in the U.S. or Canada — even in expensive locations. Mexico’s proximate location to the U.S. means shorter flight times to enjoy the tropical paradise where the desert meets the ocean. Many are able to be on the beach in Cabo faster than traveling to a U.S. beach! Cabo boasts a large expat community. Mexico is home to over a million Americans, and it is easily the biggest expat destination. The influx from the north has influenced Mexico’s standard of living and convenience. I understand the thought of moving to another country where your language isn’t spoken can seem overwhelming. Not to worry, in Mexico, English is readily spoken while you brush up on your Spanish! Mexico has many stores like the U.S., such as Home Depot and Walmart. You can buy practically anything you are accustomed to having back home. Purchasing a vacation or second-home property in Cabo San Lucas is the most comfortable option for Americans and Canadians who are looking to live or invest abroad. When moving to a new location, it is essential to involve people you can trust to help you make decisions. Unlike most realtors, I own Cabo San Lucas property and went through the process of buying a home. I know exactly what it’s like and what to expect. My extensive background in real estate law helps me to find the best place for you. 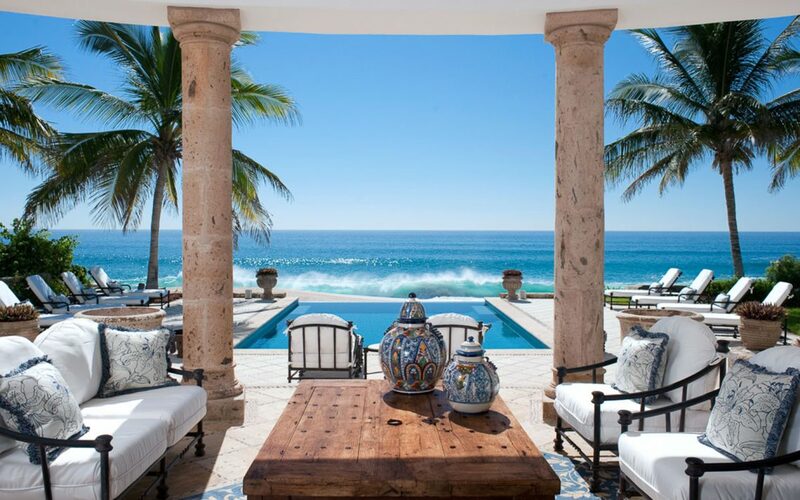 Give me a call, and I would love to connect with the Cabo San Lucas property opportunities!